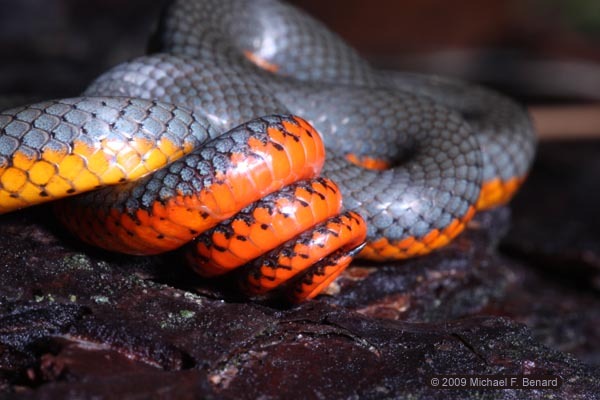 A Ringneck Snake(Diadophis punctatus) observed on the UC Quail Ridge Reserve in Napa Co., CA. 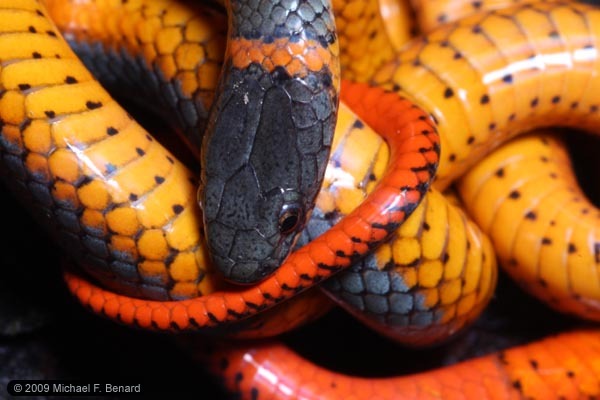 On the Quail Ridge Reserve, these small snakes are commonly found from December through June. 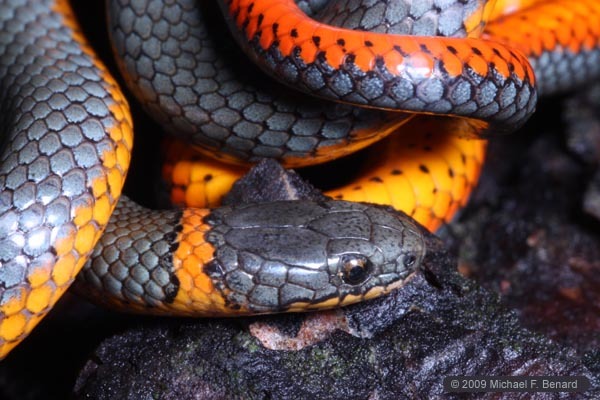 I have regularly found these snakes eating metamorphosing Pacific Chorus Frogs (Pseudacris regilla) and very young Common Garter Snakes (Thamnophis sirtalis). 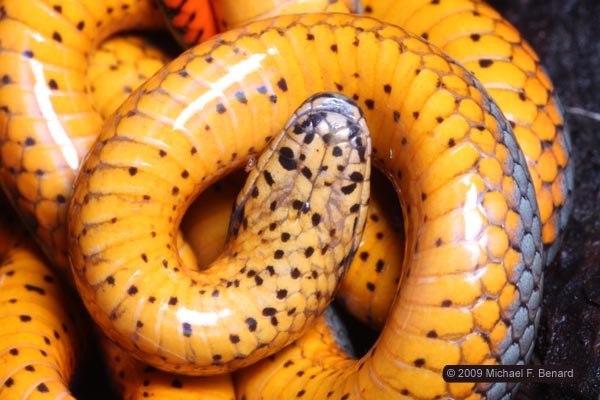 When threatened, ringneck snakes often curl into a loose ball, hiding their head and exposing coils of their brightly colored ventral scales. 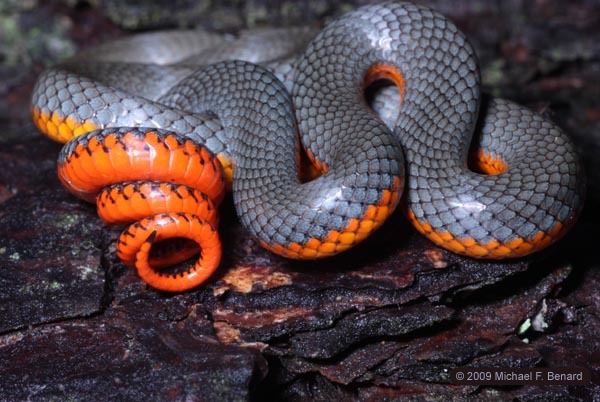 The bright orange belly and neck band of the Pacific Ringneck Snakes are quite different from the more pale yellow colors found on the Northern Ringneck Snakes from the eastern United States.